If you know your McDonald’s history, you know the Big Mac was invented by franchisee owner Jim Delligatti back in 1967. Up until November’s experiment with the Sriracha Big Mac, the recipe stayed pretty much the same. But now, for a limited time only, McDonald’s is trying two new Big Mac sizes. Meet (or should we say meat) the Grand Mac and the Mac Jr. The classic Big Mac is a combo of two hamburger patties sandwiches between three sesame buns — one on top, one on bottom, and one between the two patties — with lettuce, cheese, pickles, onions, and, of course, special sauce. 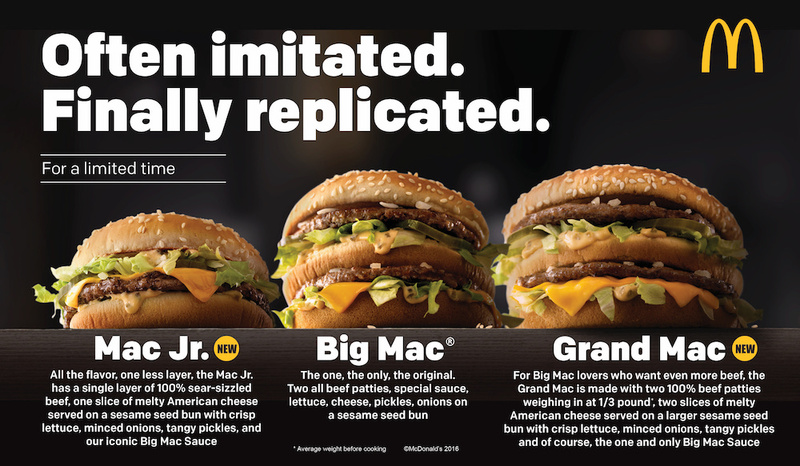 The Grand Mac and Mac Jr. are pretty similar — but they’ve got a few important differences. 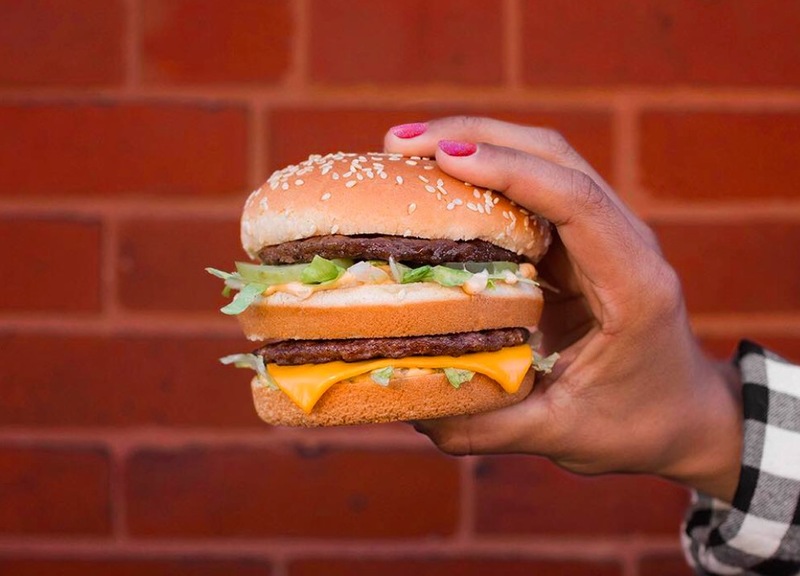 The Grand Mac is coming on a larger bun — meaning larger patties that add up to one-third pounds of beef. The Mac Jr. ditches the middle bun and goes for a solo (but beefed-up) patty. Both sound absolutely delicious — and the fact that you can order different sizes based on your appetite is great for variety. No word yet on how long these Big Mac varieties will be around — but we’re definitely lovin’ them.